Then the plateaus generally emerge as you begin to hit your natural ceilings with strength work and WODs. Sometimes these plateaus are short, and other times they may last for months. So how do you break through them and give yourself the competitive advantage? 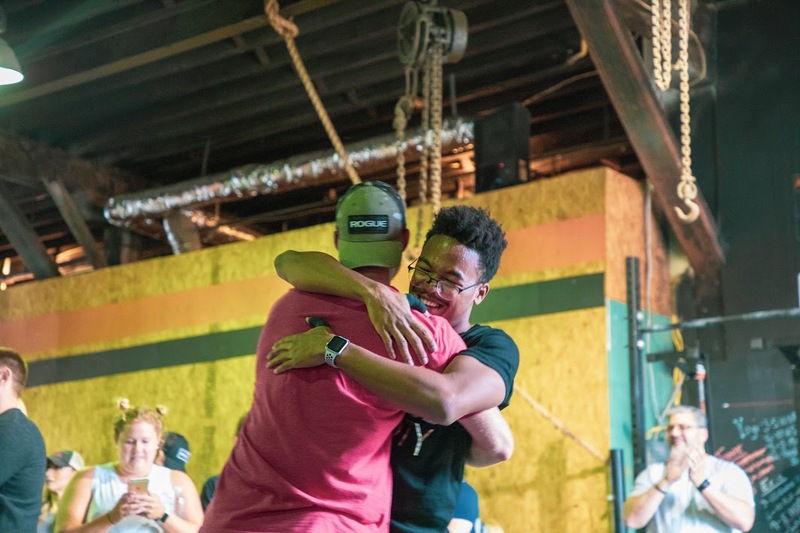 The CrossFit community provides a tremendous amount of energy and support. Just think about how many PR’s were set this past weekend at the Arsenal Throwdown. By sharing your goals with others you give yourself accountability to make sure you are working towards your goals. This is why we write them on the board at the beginning of the year! Logging workouts allow us to store results and data that can be vital to helping you hit PR’s. Our programming uses percentages in our strength work that become crucial to helping you hit a new PR. If you don’t track your results how will you know if you’re even progressing? Just Do It! Trust in the process, enjoy it and take pride in your progressions, however small they are. Do the same for the achievements of your training partners and peers. 5lbs added to a lift or a couple seconds shaved off a girl workout are a big deal and show that you are improving. Use these small wins to carry you towards your overall goals! We’ve all heard the corny line “You can’t out train a bad diet” which as cheesy as it is, it holds true. Nutrition is the basis of our overall health. If we are training extremely hard in the gym working towards hitting our goals why would we choose to not do the same at home? The most important meals are those before and after your workout. Make sure you are getting some easily digestible carbs prior to working out and a well-balanced meal afterward! Still struggling with what to eat? Shoot an email to Coach Steve (stephen@arsenalstrength.com) to schedule a time to sit down and talk specifically about your diet. Sleep is vital for our recovery and overall health. On top of recovering faster between workouts, getting 7+ hours of sleep allows us to get sick less often, lower our risk for diabetes and heart disease, reduce stress, and think more clearly at work and school. Adding targeted accessory work is a great way to expedite PR’s. Not only can we customize these to any individual, but we also make sure they align with our programming so you aren’t repeating muscle groups day after day. On top of that, your technique will become more refined leading to greater overall improvements!